Cara Delevingne and Chronicle breakout Dane DeHaan are ready to cross the City of a Thousand Planets in today’s first action shot of Luc Besson’s big-budget science fiction flick, Valerian. Much of Besson’s space opera will orbit around the planet of Syrte, where Delevingne and DeHaan’s space agents find themselves caught between intergalactic unrest. Deep down, their mission involves safeguarding the interests of the human species – be that in the form of space rescue missions or negotiating strange aliens from far-flung planets – though Valerian‘s real mission will be to craft a compelling universe, lest it go down as 2017’s Jupiter Ascending. Penned by Pierre Christin and illustrated by Jean-Claude Mézières, Valerian began life as a comic book series, and a feature adaptation began to gain traction when EuropaCorp uncovered its potential. Soon thereafter, Luc Besson, circling back to his sci-fi roots of The Fifth Element and even Lucy, occupied the director’s chair. In doing so, he’s since recruited Clive Owen, Good Kill alum Ethan Hawke, Rihanna and 10 Cloverfield Lane star John Goodman as a mysterious extra-terrestrial. 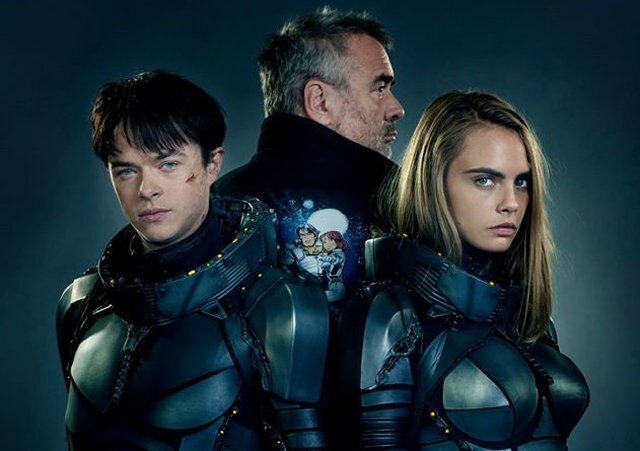 Valerian and the City of a Thousand Planets will whisk Delevingne and DeHaan across the universe when Besson’s sci-fi tentpole lands in theaters on July 21, 2017.